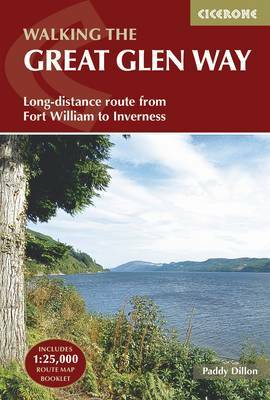 The essential guidebook to walking the Great Glen Way, a 79-mile National Trail that runs along the Great Glen between Fort William and Inverness. The Great Glen is one of the most remarkable features in the Scottish landscape - a ruler-straight valley along an ancient fault line through the Highlands. Ideal as an introduction to long-distance walking, the Great Glen Way can easily be walked within a week, and most walkers will aim to complete the route in five or six days. The guidebook provides the walker with practical information, maps and clear route descriptions for every stage of the trek and lists the facilities found along the way. A separate OS map booklet shows the trail, which can be walked in either direction. The Great Glen Way stretches alongside the scenic Caledonian Canal, which links Loch Lochy and Loch Oich with the famous Loch Ness. The route uses undulating forest tracks, lakeside paths, old drove roads and military roads, as well as contrasting stretches over heather moorlands or through city suburbs. Walkers can enjoy the scenery and wildlife, delve into the history of the Highland clans, visit crumbling castles, or keep an eye open to spot the elusive Loch Ness Monster!